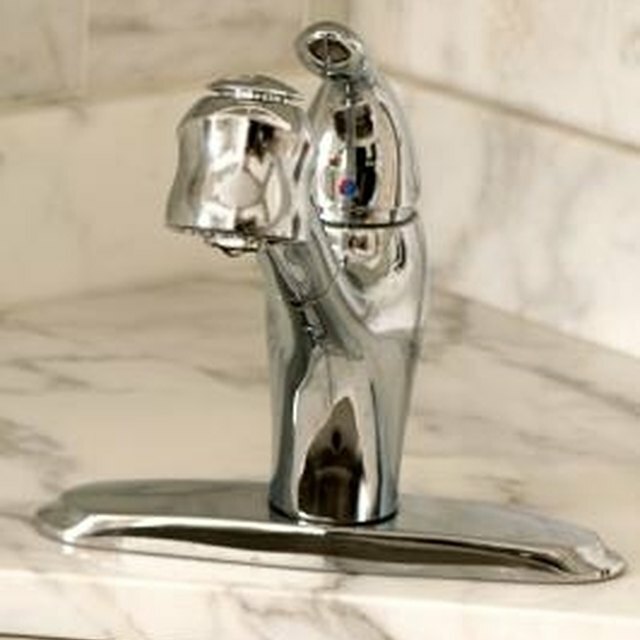 The sole purpose of the basin wrench is to remove and replace the nuts that hold a faucet in place. This inexpensive tool only has that one job--it works in tight, low visibility places for sink repair. Most of these inconvenient spaces are too tight for you to use a pair of pliers. The basin wrench actually looks like a long steel bar with a claw on one end. The other end makes a "T" as a smaller bar goes across it. Turn off the water under the sink. Position yourself under the sink, making certain to move everything out of your way. Pipes often obstruct your line of sight. If this is the case, use the basin wrench to remove the nut that holds on the faucet parts. Adjust the claw part of the wrench to the appropriate direction so that you can remove the nut from the sink handle. One direction removes the nut while the other direction tightens it. Position the claw portion to form a 90 degree angle. This helps when reaching into extremely tight places impossible to get to otherwise. Use the extended handle if you cannot reach with the basin wrench in the normal configuration. Reverse the instructions to replace nuts for the new faucet handle. With the basin wrench adjusted to the right direction, reach up to the nut and complete the tightening process. Note that you are finished in record time, and you couldn't have done it without the basin wrench. While the basin wrench has limited uses, it saves the day when you do need it. Do not over tighten the nuts when replacing them on the faucets. True Value walks you through working with a basin wrench. Simple Home Repairs helps you to do the simple jobs.